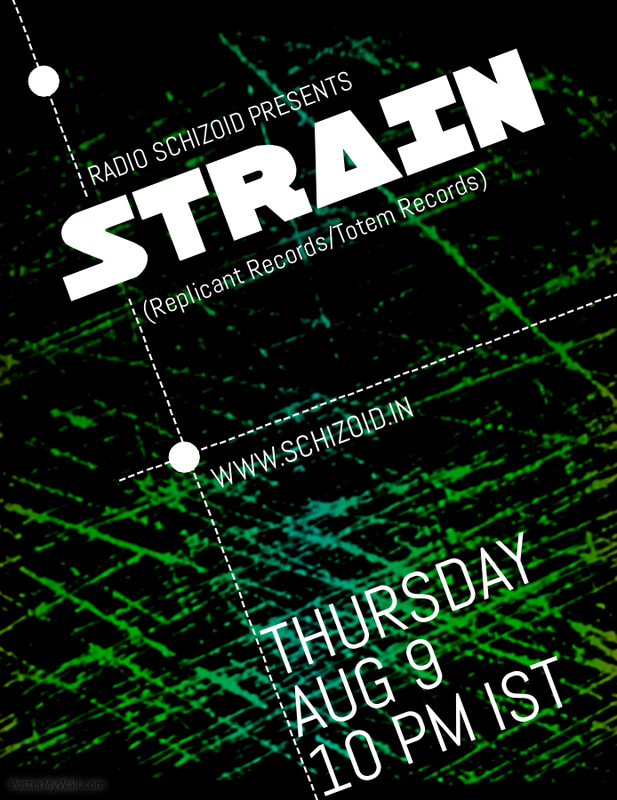 Strain ( Rahil Malde / Totem Records / Replicant Records | The Village SA ) – is back again on Radio Schizoid for a new set of show and interview and we are more than excited . Strain is Rahil Malde, born and raised in Kenya. He travelled to South Africa is 2007 to pursue his tertiary education where he was first introduced to the South African trance culture. Rahil quickly took interest in the more full-on night time psychedelic beats Cape Town is more known for. Displaying his distinct taste in the more melodic hi-tech sounds, he was immediately signed to Beartrap Productions as a resident artist at their festivals and on course for a debut at Beartrap Production’s outdoor festival, Celestial Beings II in February 2011. Since then he has kept up the pressure, being featured at almost all of the large Cape Town events sharing main stage with many local and international talents. After a two year stint with Beartrap, Strain moved to The Village SA, another huge Psy – Trance festival organisation in Cape Town. He’s also currently representing Australian Twilight Psy label, Replicant Records, where he released his first VA’s “Compression Session” & “Compression Session V2: The remixes”. Strain’s DJ sets can be best explained as a high energy, melodic journey through sound and space, slamming in slick mixing with just the right dose of hi-tech sounds…Strain your mind!